What hen party doesn’t want chocolate? This chocolate making party will have you licking your fingers and curling your toes. If you are human, chances are you love chocolate. Indulge your love with this lesson teaching you to make delicious chocolates. Our 90 minute party will bring you the expertise of a seasoned chocolatier. You’ll learn the unique history of the world’s favorite dessert, how to taste the subtle differences between chocolates, and of course how to make decadent chocolate creations. This hands-on party will teach you how to decorate, shape, and mold creations for you, your family, or your friends. Whatever you can resist eating in the class you can take home, but don’t plan on it being very much! The girl will love you for this hen party. 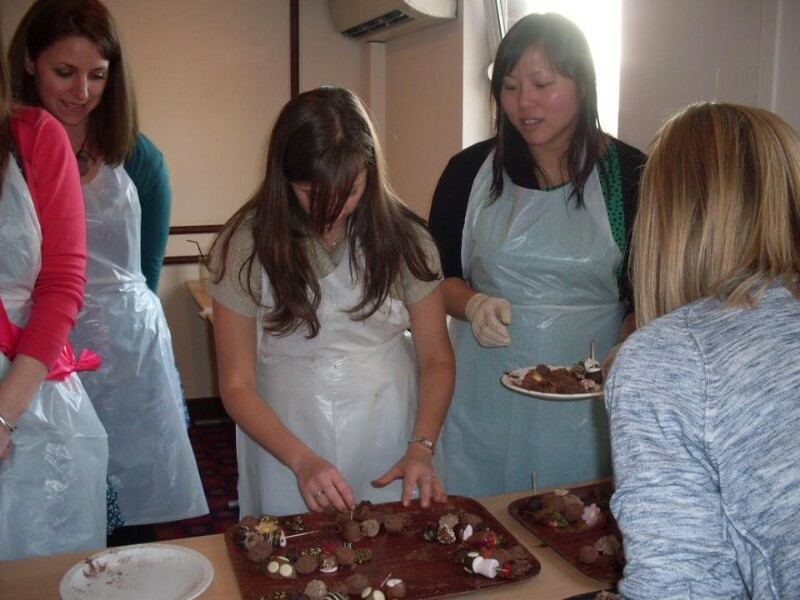 Master the art of making chocolate truffles in this truffle making workshop. Great Fun as well as an opportunity to lick the mixing bowl out! 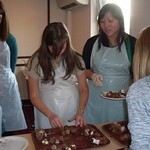 Chocolate Making Classes in Brighton. Includes professional chocolatiers, sample 100% pure chocolate as well as learning to make some great chocolates.